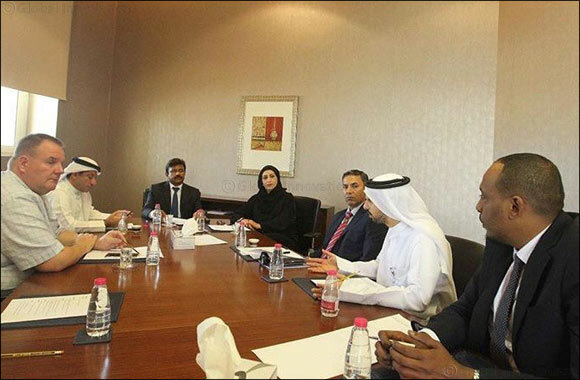 Dubai, UAE, March 13, 2019: The Industrial Sector’s Business Group, operating under the umbrella of the Sharjah Chamber of Commerce and Industry (SCCI), has discussed the SCCI strategy to enhance the industrial sector’s contribution to Sharjah economic growth, activate forward-looking plans and improve the industrial sector’s competitiveness in the business community. The participants also emphasized that supporting the local industry, enhancing its competitiveness and ability to excel and innovate is a top priority. They further stressed that the public sector is capable of achieving a paradigm shift in industrial sector of Sharjah. For his part, Lalu Samuel emphasized the SCCI significant role in handling challenges facing the private sector and finding effective links with the government sector to improve the levels of communication and coordination among all stakeholders in Sharjah economic sector. He added that the meeting participants reviewed and discussed a number of topics that epitomize a roadmap for upgrading the industrial sector to better levels of growth.